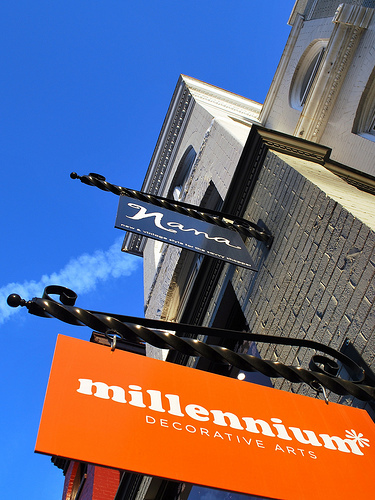 Nana’s officially shuttered its U street location a few days ago, and will be opening its new Mount Pleasant location hopefully soon. Lisa from Quarter Life reports on good authority that the next tenants will have a vintage store, but details are fuzzy at this point. Glad to see the 1500 block of U Street expand as a destination for fashion/vintage. I’ll keep you posted once more details come out. On Saturday, Deborah Ann Brown was murdered on 14th and Harvard. It is believed she was an innocent bystander. A 17-year-old, Devonte Carlton, was arrested for the murder. Now, it might just be coincidence, but when I saw that name it looked familiar. That’s because Lafonte Lurie Carlton was arrested back in January for two area murders. Are they related? I don’t know, but it is strange that they share the same last name, at the least. Garden District is moving across the street to the other side of 14th and S and consolidating its inside and outdoor stores, meaning both of their current locations will close.